Background/Purpose: Primary Sjogren’s syndrome (pSS) is a systemic, progressive autoimmune disease characterized by secretory gland dysfunction which lacks effective therapy. Clinical trials in patients with pSS using leflunomide (LEF) or hydroxychloroquine (HCQ) previously effectively inhibited B cell hyperactivity, but induced only modest insignificant effects on clinical parameters. LEF and HCQ have complementary inhibitory properties on different immune cells, including B cells, T cells and pDCs. In vitro LEF and HCQ additively inhibit T and B cell activation as well as CXCL13 production. To study the potentially additive clinical effects of these drugs we conducted a randomized, double–blind, placebo-controlled, mono-center proof of concept study to evaluate the efficacy, safety and tolerability of LEF/HCQ therapy in patients with pSS (REPURpSS-I study). Methods: Clinically active (ESSDAI≥5) pSS patients (n=29) were randomized to receive LEF 20mg daily and HCQ 400 mg twice daily or placebo/placebo (2:1) for 24 weeks. Primary and secondary endpoints were changes in ESSDAI and stimulated whole saliva (SWS) flow at 24 weeks, respectively. Other outcomes assessed were Patient Reported Indeces (ESSPRI), Multi-dimensional Fatigue Inventory (MFI), Physician’s and Patient’s Global Assessments, SF-36, and various circulating mediators. Outcomes also included safety assessments. Results: Twenty-nine patients were enrolled: 8 patients received placebo and 21 received LEF/HCQ combination therapy (mean baseline ESSDAI scores of 11.5 and 11.8, respectively). Overall, LEF/HCQ was safe and well-tolerated. There was a single serious AE requiring de-blinding (pancreatitis at week 16 in the placebo cohort). The ESSDAI score at 24 weeks significantly improved in the LEF/HCQ group (p=0.044, n=9 responders with ESSDAI decrease ≥3) compared to baseline, in contrast to those receiving placebo (p=0.818, 1 responder). As anticipated, lymphopenia and elevated CK levels were significantly higher in the LEF/HCQ group. When calculating ESSDAI scores without these, stronger decreases in the LEF/HCQ group (p=0.000) compared to placebo (p=0.940) were observed. In this case eleven patients in the LEF/HCQ group displayed a decline in ESSDAI of ≥3 (average decrease 6.64 points), whereas this was not observed in the placebo group. Oral dryness showed significant improvement (SWS from 823 to 1366 μl/5 minutes, p=0.04) in the LEF/HCQ treated group as compared to decline in the placebo group (SWS from 1125 to 815 μl/5min, p=0.169). Significant improvements in other measures such as ESSPRI, ESSPRI pain, ESSPRI fatigue, Physician’s Global Assessment, and Patient’s Global Assessment were also observed in the LEF/HCQ group (all at least p<0.05) but not in those receiving placebo. Serum IgG, IgM rheumatoid factor (p<0.0001 and 0.001 resp.) and CXCL13 decreased, whereas C3 and C4 increased (p=0.016 and p=0.003) in the LEF/HCQ group, but not in the placebo-treated patients. Conclusion: This pilot RCT suggests clinical efficacy for LEF/HCQ combination therapy in almost half of the patients with primary Sjögren`s syndrome. Larger RCT’s are needed to confirm the observed effects and to identify potential biomarkers for response. Disclosure: T. R. D. J. Radstake, None; E. H. M. van der Heijden, None; F. M. Moret, None; M. R. Hillen, None; A. P. Lopes, None; T. Rosenberg, None; N. Janssen, None; A. A. Kruize, None; J. A. G. van Roon, None. Radstake TRDJ, van der Heijden EHM, Moret FM, Hillen MR, Lopes AP, Rosenberg T, Janssen N, Kruize AA, van Roon JAG. Clinical Efficacy of Leflunomide/Hydroxychloroquine Combination Therapy in Patients with Primary Sjogren’s Syndrome: Results of a Placebo-Controlled Double-Blind Randomized Clinical Trial [abstract]. Arthritis Rheumatol. 2018; 70 (suppl 10). 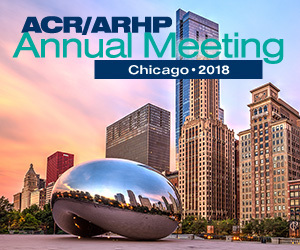 https://acrabstracts.org/abstract/clinical-efficacy-of-leflunomide-hydroxychloroquine-combination-therapy-in-patients-with-primary-sjogrens-syndrome-results-of-a-placebo-controlled-double-blind-randomized-clinical-trial/. Accessed April 21, 2019.